Neighbours are complaining about being disturbed by anti-social motorists with loud engines and exhausts racing around Banbury at all hours. Many roads have been named as being used by the noisy drivers including the dual carriageways, retail parks and industrial estates. Police say they are regularly patrolling areas of concern and have been issuing notices to drivers causing ‘alarm, distress or annoyance’. But Ruscote Avenue resident Paul Shepley says more needs to be done to tackle the problem as car drivers and motorcyclists are finding more ways to make noise. “I don’t think it’s a new problem but it seems to be on the increase,” he said. I don’t think it’s a new problem but it seems to be on the increase. Roads included in the complaints were Ruscote Avenue, Middleton Road, Sinclair Avenue, Hennef Way, Woodgreen Avenue, Orchard Way, Oxford Road, George Street, Hightown Road, Ermont Way and others. Mr Shepley said he regularly sees cars and motorbikes speeding on his walk to work and fears a disaster is waiting to happen. The employee at Paintbox said he has taken his concerns to police, as well as licence plates he has noted, but was told officers were busy and has not heard back since. “It won’t take long but it would be a shame if it has to get to that point [an accident] for the police to intervene and start tackling the problem,” he said. 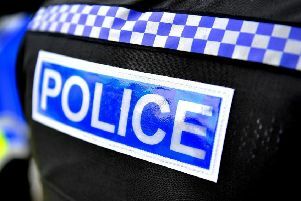 Thames Valley Police officers in Banbury have tweeted a number of times over the past year about anti-social behaviour from motorists, including a red Fiat Stilo driving erratically down Middleton Road on July 1, and patrols at Banbury Gateway. Neighbourhood policing Sergeant Becky Fishwick, based in Banbury, urged the community to help police. “The neighbourhood team has issued three Section 59 notices in the last month which is a warning given to drivers if they are reported to have used their vehicle in a manner which causes ‘alarm, distress or annoyance’,” she said. “In cases in which vehicles have been driven or used in an anti-social manner, we are working with the community safety team at Cherwell District Council and considering use of anti-social behaviour legislation to provide a long term resolution to these issues. “Thames Valley Police is completing regular patrols of the areas identified where there is a persistent problem. On social media, many more people shared their frustrations about drivers of all ages speeding around town, many with modified exhausts and engines which amplify the sound. To report incidents of anti-social driving, call the 24-hour Thames Valley Police enquiry centre on 101.